Henry Higby Gutterson was born in Minnesota on September 8, 1884. He studied in San Francisco at the Mark Hopkins Art Institute in 1897-99. When John Galen Howard founded the architecture department at the University of California in Berkeley, he enrolled and was in the first graduating class in 1906. Gutterson continued his studies in Paris at the Ecole des Beaux Arts, working in the atelier of Victor Laleaux. After a brief stint working on the Forest Hills Gardens suburb in Queens, New York, he returned to Berkeley in 1910 and joined the office of John Galen Howard. In 1914, Gutterson opened his own architecture office. He also joined Howard on the design staff of the 1915 Panama-Pacific International Exposition. Gutterson designed over 60 homes in Berkeley, including twelve in the Rose Walk area which had been devastated by the Berkeley Fire of 1923. Among his non-residential Berkeley works are the Second Church of Christ, Scientist, Vedanta Society, Berkeley Civic Center Fountain and Park, Jefferson School, and Berkeley High School’s Shop and Science Buildings and Community Theater. Outside of Berkeley, the Flanders Mansion in Carmel, the Camp Fire Girls’ Headquarters in San Francisco, and the Third Church in Santa Barbara are listed on the National Register of Historic Places. Gutterson was also the architect for the Sunday School addition to the First Church of Christ, Scientist (Bernard Maybeck, 1910). For forty years, Gutterson was supervising architect of Duncan McDuffie’s St Francis Wood tract in San Francisco. He was co-founder and president of the Berkeley Planning and Housing Association, member of the Berkeley City Planning Commission, and served on the advisory committee for the San Francisco Civic Center. 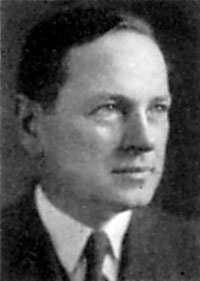 He was president of the Sierra Nevada Chapter of the American Institute of Architects (1927-30) and one of the founders and first directors of the State Association of California Architects. He briefly taught at the University of California in 1910-11 and 1920-21. In his leisure time, Gutterson was an avid sailor. He died in 1954.